Air Academy New Cag has ordered a Learning Management System with FTD Consulting´s partner infoWERK, Austria for ab initio pilot training, a system which is compliant with EASA regulatory requirements PART-ORA.GEN, .ATO, and Part-FCL. The courses offered are for example, LAPL/ PPL, CPL, CB IR, EIR, ATPL, etc. Preexisting content can be used or content added to the system. The system has sophiosticated distance learning capabilities as well as examination tools. FTD Consulting was hired by Freebird Airlines Europe to support its Air Operator Certification with Transport Malta. FTDC was assigned the preparation and compliance of Operations Manual OM-B for Airbus A320 operations. Problems with preparations of documentation comprise collecting all relevant pieces of data out of FCTM, FCOM, QRH and other relevant manuals to achieve AOC approval. 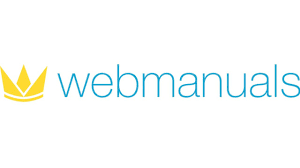 FTD Consulting and swedish company Webmanuals AERO have signed a partnership agreement, where FTD Consulting adds Webmanual products into their own product range providing an online tool for sophisticated compliance and revision management of Aviation Organisation documents under EASA and other regulatory rules. If more information needed, please contact us. YourPlane AG has selected FTD Consulting to support their EASA ATO Operator Certification according to EC regulation 1178/2011 as amended. FTDC was hired to add the Minimum Equipments List and supporting their clients Baden Charter & Lumanfly Operations Manual B Part for Eclipse 550 to enable the ATO to provide training capability for the Eclipse. YourPlane AG has selected FTD Consulting to support their EASA ATO Operator Certification according to EC regulation 1178/20121 as amended. Fields of support are general consulting and Management System Implementation and associated Management System Documentation (Compliance & Safety Management). Cockpit4U has selected FTD Consulting to support their EASA ATO Operator Certification Status for according to EC regulation 1178/2012 as amended. Fields of support are general consulting and Operations Manual Documentation Updates. As the demands under EASA and by national CAAs is growing constant changes and updates are necessary. In this case FTDC supported C4U with Updating the Operations Manuals according to the latest standards. FTD Consulting has supported the AOC Holder, the Deutscher Alpenflug, Luftfahrtunternehmen Michael Bergmann with updating their AOC documentation to EASA 965/2012 regulatory requirements. The AOC is conducting VFR operations by day A to A at Kempten Durach. See a quick video of our client for pure enjoyment! FTD Consulting has supported a national AOC Holder, the Tannheimer Flieger- & Freizeitzentrum with updating their AOC documentation to EASA 965/2012 regulatory requirements. The AOC is conducting VFR operations by day A to A and is operating various aircraft such as Grob G115, Robin DR400, Cessna 150, and Super Decathlon. Tannheim is still famous for their former annual flying event called Tannkosh. FTD Consulting – Your Aviation Partner! FTD Consulting (FTDC) is based in Munich, Germany. With our expertise we close gaps for those who operate aviation businesses, in particular AOC Holders, Approved Training Organisations (ATOs) and Flight Simulator Operators (FSTD). Internationally, about 140 non-complex & complex organisation use our materials & services. Since 2007, we have been seeling about 60 Flight Simulation Training Devices and have been engaged in a variety of service support contracts for a number of clients. With our team of over 50 consultants in a great international network, we can provide you with solutions for every aspect of aviation. 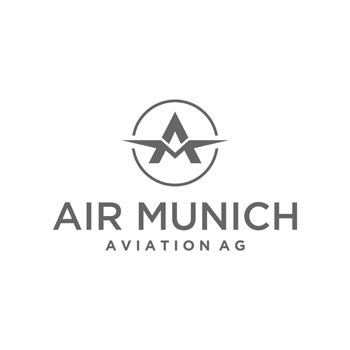 Air Munich Aviation AG formerly known as Flugschule Jesenwang has hired FTD Consulting to support the process of having their organisation approved as Air Operator Certificate (AOC) Holder to conduct A to A VFR by day operations as per EU-Regulation 965/2012 Part-ORO.GEN and ORO.AOC. Furthermore, FTDC has supported Air Munich Aviation AG with support for ATO approval to conduct modular ab initio to ATPL courses within their organisation approval and two locations near Munich-Jesenwang and Augsburg. FTDC has not only provided consulting services on regulatory issues, but also completed all approval documentation such as Operations Manuals and the Training Manuals for the ATO. 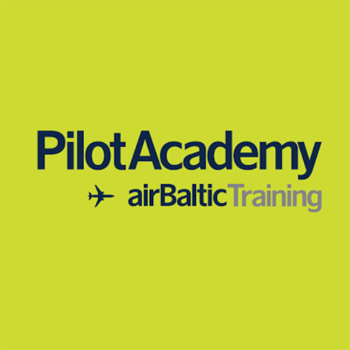 FTD Consulting has been chosen together with its partner “The EASA Consultants” to implement an Integrated ATPL Programme with the new airBaltic Pilot Training Academy. We have been asked to structure courses and provide all relevant documentation to have the courses approved by the competent authority CAA Latvia. FTDC and EASAC have provided Operations Manuals A to D as well as the Training Manuals relevant to the courses of the Pilot Training Academy. The Integrated ATPL course features Phase 1 to 5 where the students are supposed to be ready to take their CPL/ IR Skill Test within shortest time frames. FTD Consulting offers documentation for EASA Air Operator Certificate (AOC) holders according PART-ORO of regulation 965/2012 which comprise A to A, and A to B operations of every operator size from small, non-complex organisations to complex organisations, as well as Special Operations (SPO). We offer Organisation Management Manuals, Operation Manuals (OM A to D) and other documents as required in English and German language. Ondokuz Mayıs Üniversitesi (OMU), located in black sea coast in Samsun, Turkey, is being supported by FTD Consulting in their Third-Country (TCO) FSTD Operator approval under EASA. FTDC is involved in general consulting on the process, facility survey and improvement as well in setting up proper documentation and training for FSTD Operation. Organisation management Manual and FSTD Procedures Manual are being prepared and OMU is guided through the initial qualification process. As an external company we can take postholder positions (Accountable, Compliance ATO/ AOC, FSTD) and can advise how to train and select suitable staff or take interim post holder positions to get your organisation ready to go. Currently and as part of our expertise, we have taken the post FSTD Compliance Management at Adria Airways Flight Career Center in Ljublijana, Slovenia. We support AFCC externally by rectifying Compliance Documentation and make sure that the FSTDs are in compliance with the current EASA regulations to pass recurrent evaluations. The German based ATO RWL German Flight Academy has hired FTD Consulting to update/ replace their existing CAME document with a new EASA compliant version of the document. In cooperation RWL and FTDC have reworked and updated the existing company´s documentation in order to comply with latest requirements as given by the German LBA. Norwegian based Operator Scandinavian Skies has hired FTD Consulting for AOC Approval Support. FTDC is currently preparing all AOC manuals (OMM, OM-A to D) including manuals for the CAMO, the Continuous Maintenance Management Exposition (CAME). In the course of the assignment FTD Consulting is supported by EASA Consultants for Compliance Monitoring Support and on-site training to have the operator fit for EASA requirements. Flugschule Eirenschmalz in Bavaria has hired FTD Consulting for support of their intended ATO approval. The school is already apporved by the Bavarian CAA but will be upgraded to LBA ATO approval for CB IR and EIR training. FTDC will provide necassary documentation according to EU-Regulation 1178/2011 and 290/2012. Three engineers were sent to Lithuania to have them trained on relevant parts of the EASA regulation, i.e. PART-FCL according regulation 1178/2011 and amendments, PART-ORA.FSTD according regulation 290/2012 and amendments, their related Acceptable Means of Compliance and Guidance Material as well as the certification specification CS-FSTD(A). The main purpose of this training course was to prepare EgyptAIR staff for audits on their Flight Simulation Training Devices (FSTDs) to be carried out according to EASA-Standards. “I always love visiting the Baltics, and this was no exception. Having an opportunity to share my knowledge with flight simulator engineers was very enjoyable. I’m very happy to have partnered with SimHelp”, says Jeremy Baldwin the instructor from EASA Consultants who taught the engineers from EgyptAIR. “We are very happy to have had the course carried out for EgyptAIR in cooperation with EASA Consultants and SimHelp. We as official partner of EASA Consultants believe that training on EASA regulations is necessary and will improve relationship and cooperation between Civil Aviation Authorities and FSTD operators in the future.” Says Alexander Schaffler, Managing Director of FTD Consulting. 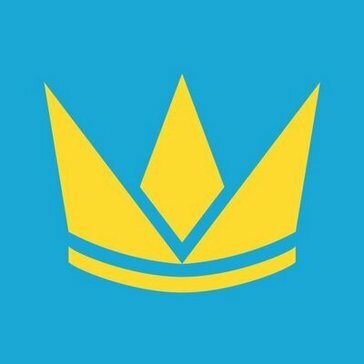 This is another step towards to a bright future for SimHelp. “We are delighted to have EgyptAIR’s engineers here, using our services. They are a major company and working with them is a joy. We believe this will be the beginning of a great business relationship for all of the parties involved.”, says Julius Šeškauskas SimHelp Product Manager. FTD Consulting (FTDC) is an independent consulting company for professional flight simulation and organisation approvals under EASA regulations. FTDC is based in Munich, Germany and has conducted several organisation approvals for known aviation organisations world-wide. EASA-Consultants is a company developed to assist with the transition to new European aviation regulations and maintaining compliance with those requirements. EASA-Consultants draws its workforce of highly experienced consultants with years of active involvement as Aviation Authority inspectors, secondments to the European Aviation Safety Agency, active and former line pilots, Compliance Monitoring experts and other highly experienced aviation professionals. SimHelp – Full service for training centers including the simulator supply with relocations, spare parts, consumables and aviation engineering expertise. SimHelp organization embraces Business to Business solutions by arranging integrated technical maintenance, simulator upgrades, spare parts supply and other solutions. SimHelp provides services through its headquarters in Lithuania and globally distributed network of partners, with the representative offices located worldwide: United States, United Kingdom, France, Japan, Germany and others. Skyprofi Flight School, an ATO based in Augsburg, Germany hired FTDC to provide an Organisations Management Manual including the Safety and Compliance Monitoring System which is also accompanied by the Emergency Response Planning. This manual is being used in getting the ATO approval by the local CAA and the German LBA.